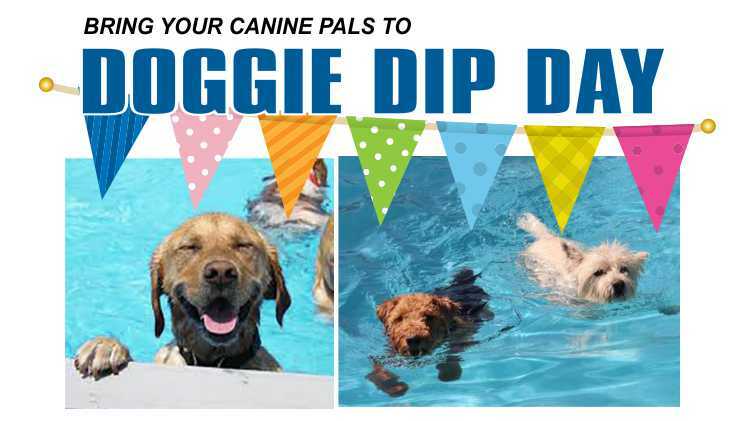 Date: Sep 15 2018, 12 p.m. - 5 p.m.
free “Doggy Dip Day,” at Irwin Pool. Hours are noon-2 p.m. for dogs 35 lbs. and under; and 3-5 p.m. for dogs 36 lbs. and over.This event will include a “Best Trick” Talent Show, and prizes will be awarded. Dog handlers must be 18 or older. No female dogs in heat or puppies under 3 months old allowed. Dogs must be current on vaccinations, and handlers must show proof. Dogs must wear a collar that they can swim in. owners must be responsible for, and clean up after their pets at all times.